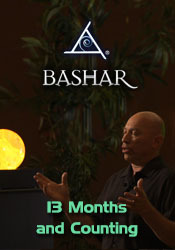 Bashar illuminates what upcoming changes we might expect, beginning in the fall of 2016, where our collective energy is heading, and what the probabilities are of the changes that will take place within our society at that time. • What was the Norwegian Spiral? • Can you pick me up sometime for a space trip? • Can you disclose where the Yayel sighting will take place? • On July 30th, I went to see my “family.” Can you tell me why I was there? What was I learning? • How can everyone enhance the energies of disclosure? • Did President Obama get information about UFOs and free energy in January 2009? • Is NASA a front for higher technology? • Is our shift related to Pope Frances or the Vatican revealing information to the world? • Are there any techniques I can add to the physical training I give to help people be empowered? • Can you share some of our other physiological senses? • What is my connection with the human known as "Red Feather?" • How can I break the cycle of irresponsible parenting? • What’s my interstellar lineage? • Gobekli Tepe – Who built it? Will other ancient temple sites be found in the Middle East? • I’m connected to Egypt. How does that affect me? • Is there an infinite number of Over Souls? • Can you tell me where I can find my lost brother? • Can you talk about Egyptian philosophy in relation to information on ETs? • When will we learn the true history of Atlantis and ET contact? • Can I bypass the upcoming transformation to be in a reality that isn’t part of the bad changes that are coming? • You said the changes affect our physical bodies. My son is experiencing things. How can I help him? • How can I break in to the entertainment industry? • I came across another channeler who gets rid of spirits that stick to us. Is that real? • How can physics increase my lucid dreaming? • What is cosmic consciousness? • What is the impact of the Gamma Wave on the lunar eclipse? • What’s the difference between channeling your own personality versus another entity?